It takes a lot to impress architecturally in West Philadelphia. This section of the city is home to more amazing edifices than we can count, ranging from institutional buildings at Penn and Drexel, numerous churches, the Provident Mutual building, and more Victorian homes than you can shake a stick at. 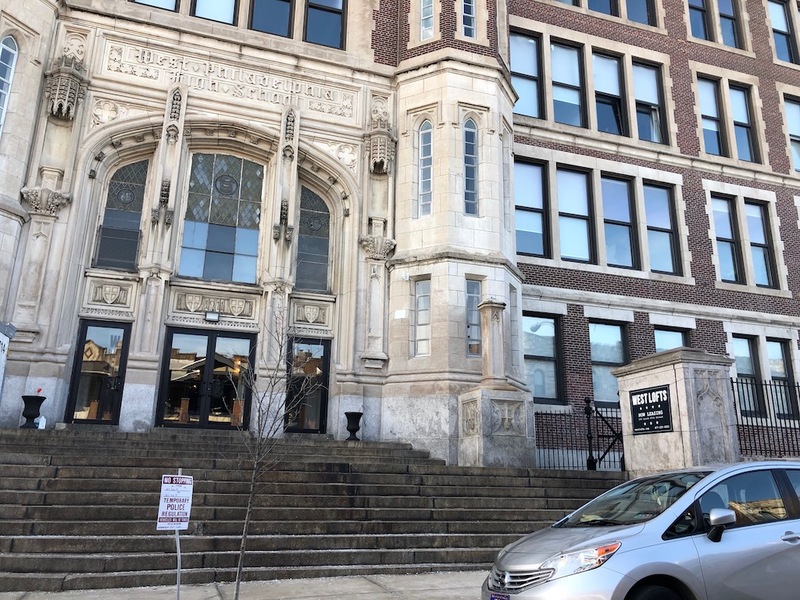 Among all the terrific buildings nearby, the original West Philadelphia High School, which covers an entire city block at 47th & Walnut, still manages to stand out. 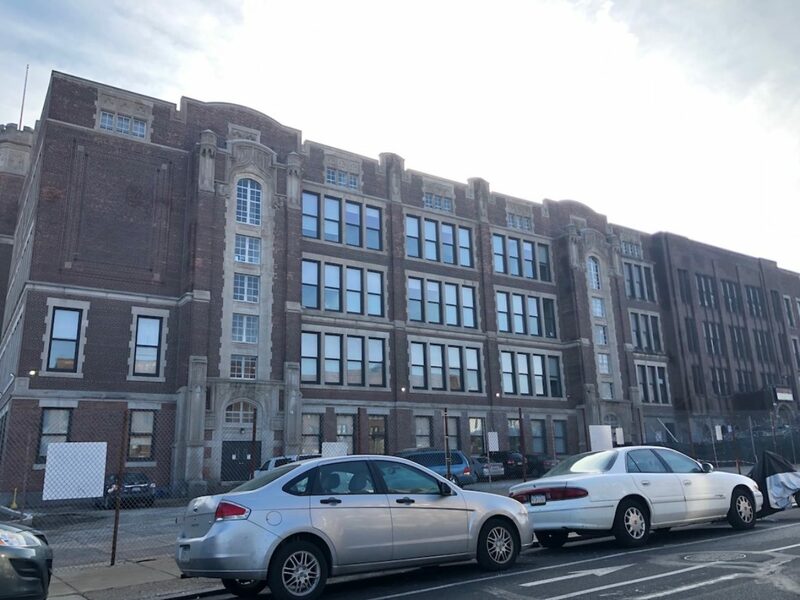 Built in 1912 as the first secondary school west of the Schuylkill, it was appropriately added to the National Historic Register in the mid-1980s. 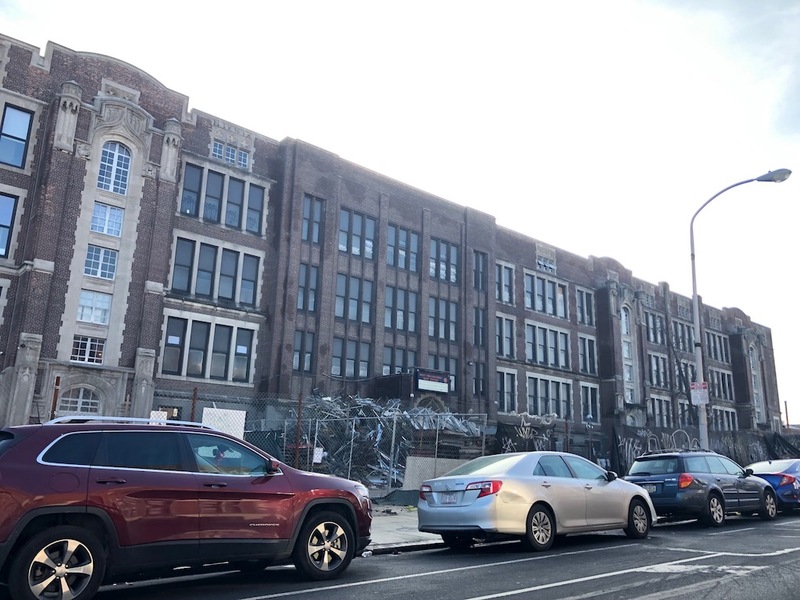 Demolition never seemed like a possibility when the school moved to a new building a few blocks away in 2011, but a final decision on an apartment conversion didn’t come until 2016. 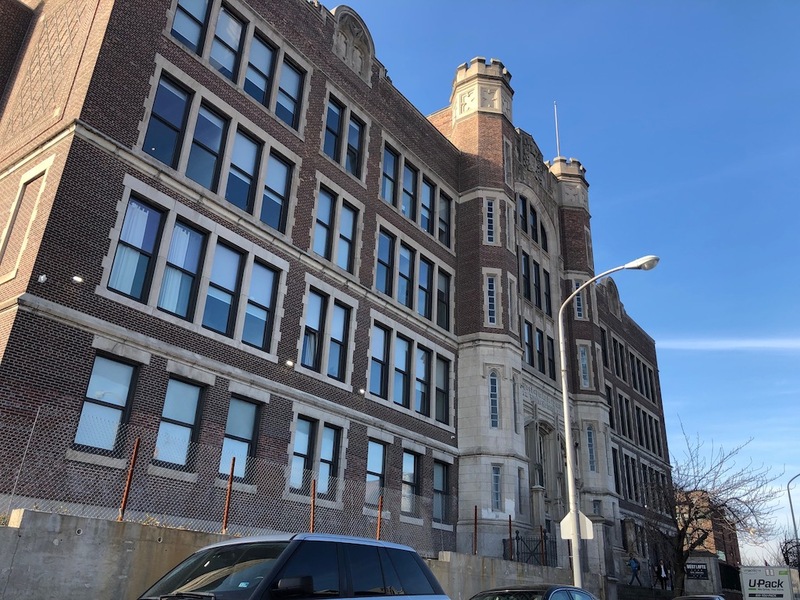 When we provided our last update, we told you that Heights Advisors would be turning the school building into a total of 298 apartments, dubbing the project West Lofts. We also told you that they would be breaking off the project into manageable bites, because renovating a 400K+ sqft building all at once at this location is rather daunting. At this point, it appears that they have successfully renovated about a third of the building and people have been living there since late 2017. Also, it seems that additional interior demolition and construction are ongoing, at least that’s what the pile of debris in front of the building suggests. 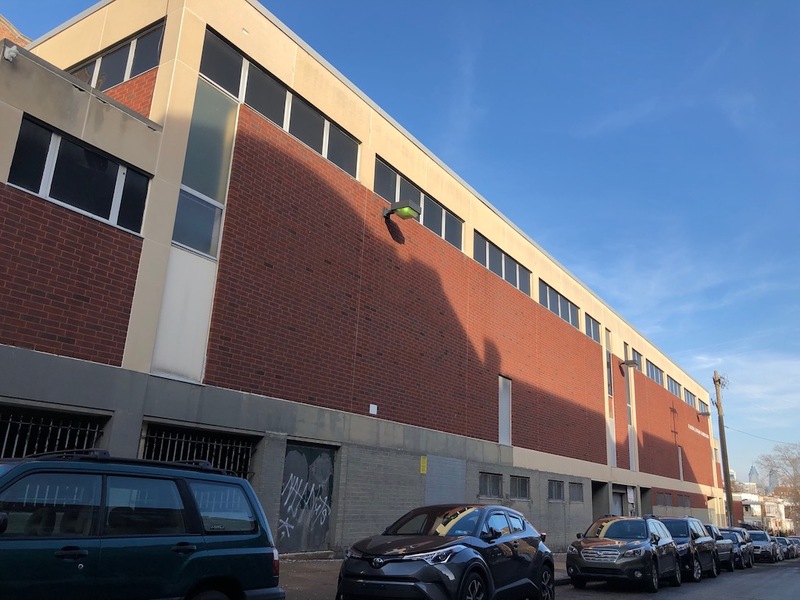 Renovated section of the building on Walnut St.
A Philly Voice story from about a year ago detailed some struggles that the initial tenants had in terms of coexisting with the ongoing construction and coping with the fact that the amenities were not yet ready. 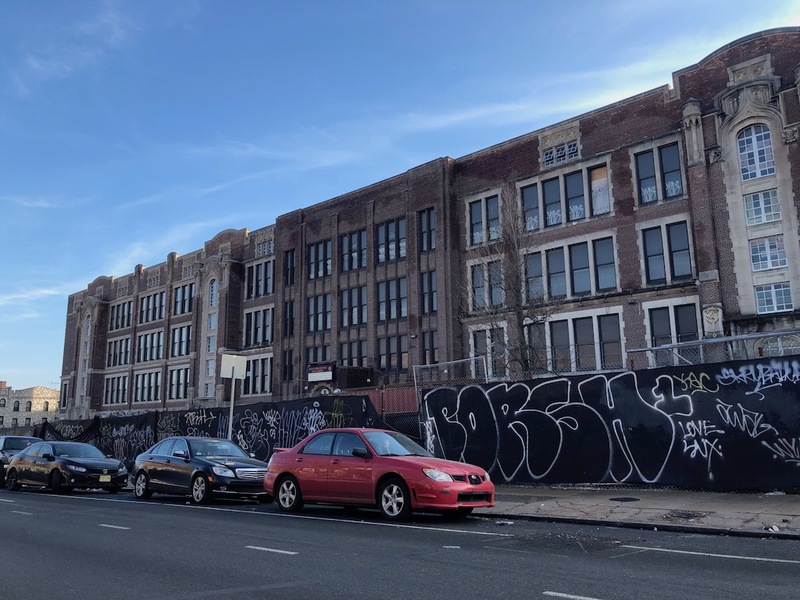 We haven’t seen any stories about the building in the time since then, which suggests that the first phase of the project has stabilized- and images on the building’s website indicate that the gym (located in the former school gym) has been completed. We’re cheered that things appear to be progressing to another phase, and are also pretty pleased with how sharp the renovated exterior looks after some sandblasting and new windows. Plenty more where that came from, in the coming months/years. In looking at public record as we were researching this story, we noticed a new use permit on the property, issued last month. This permit indicates that the unit count is going up significantly, from the original 298 number to a more substantial 385. We don’t know how the developers were able to make this change without triggering a refusal for parking, since CMX-3 requires 3:10 parking and we seem to remember the project initially got parking relief at the lower unit count. We’re generally not fans of parking requirements, and given the close proximity to the El, we don’t think that the additional density will present much of an additional burden, though near neighbors might disagree. Everyone would surely agree though, that the preservation of this building is a big win for the city, and though its renovation is proceeding a bit slowly, its appearance is greatly improved and its use is moving in a more appropriate direction for the present day.